Please review the policy HERE, then sign below. 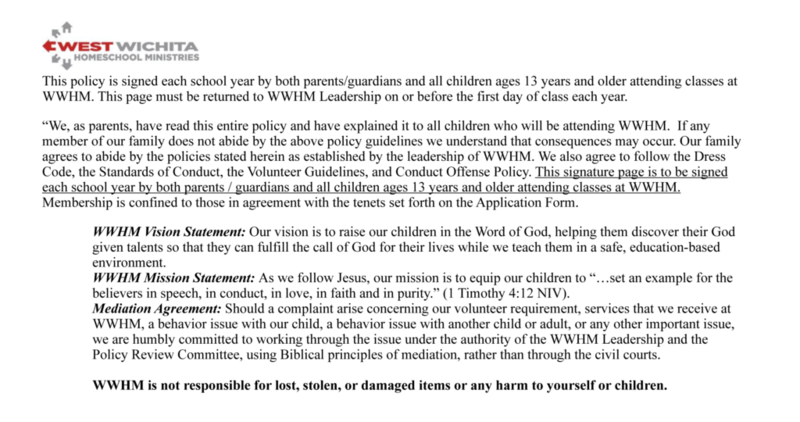 NEW FAMILIES review the policy HERE, print the last 3 pages and bring signed copy to WWHM leadership the first day of classes. Sign All Appropriate Fields By signing in the fields below I validate I have read, understand and accept the terms set forth in the WWHM Policy. Has ANY medical info changed for any of your children?